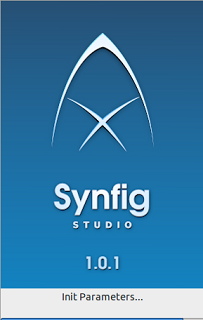 Synfig Studio is a free, cross platform, professional, 2-D vector graphics application. 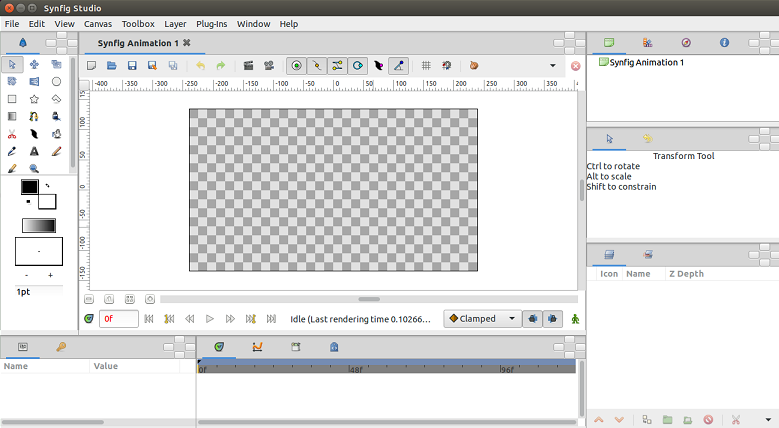 It is used to generate 2-D graphics and timeline based animations. It is easy to install and use, lightweight and requires little bit efforts to generate good quality animations. It has been in the world since 2005 and the development team has been doing great job of maintaining and updating this application. The design goal of this tool is to let users generate “feature-film quality animations” without much hassle. Unlike other available alternatives, it is considered easy to use and stable software. It lets you apply real time effects to different layers, colors tweaking and resolutions. This tool has native ability to render popular video formats like AVI, Theora, MPEG etc and image formats PNG, BMP, PPM, OpenEXR etc. It saves its own animations in XML format which can be further compressed using gzip utilities. This tool is being used on high scale as well, a group of Russian volunteers are using it to generate a folk tale animation story called “Morevna Project”. Recently the latest release 1.0.1 has been made available for download, let’s see how we can install it on all popular Linux distros. 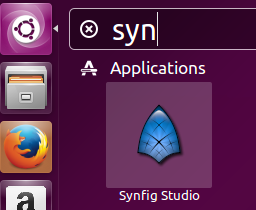 First of all download the installer file for Synfig Studio 1.0.1 from following URL according to your operating system architecture (32 or 64-bit). Once the download is complete, launch your system terminal and run following command to install it. Here is how successful install process should look like. Download the RPM installer file for this application from following URL. That’s it, as soon as the installation is complete, launch it from Applications menu. It will take almost no time to load configuration for the first time. There you go, start using this awesome application for generating your animations.